The user-centred approach is moving into finance, as banks increasingly connect to their customers’ needs and wants. 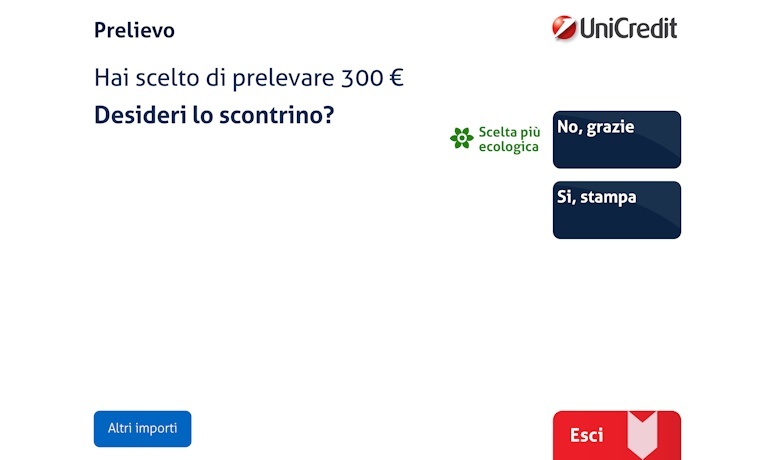 As part of this trend, global banking and financial services company UniCredit Bank collaborated with user experience consultancy Experientia to create a user-friendly, people-centred ATM – the BancoSmart. 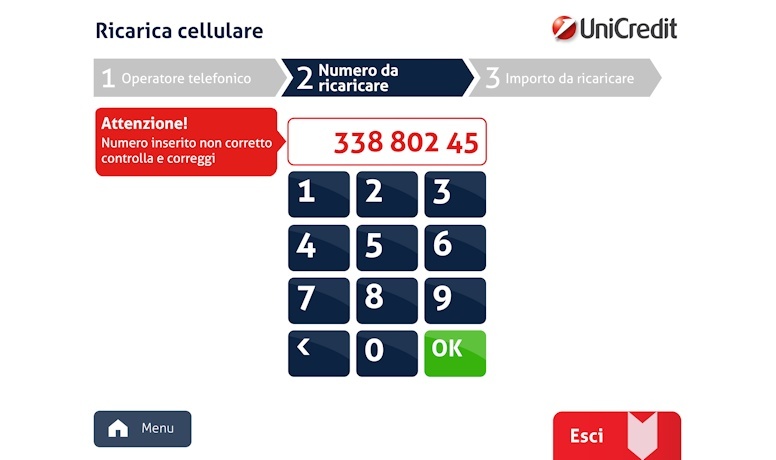 Experientia has reinvented the ATM interface for UniCredit – making it easier to use, faster, and with more services, all offered through full touchscreen interaction. 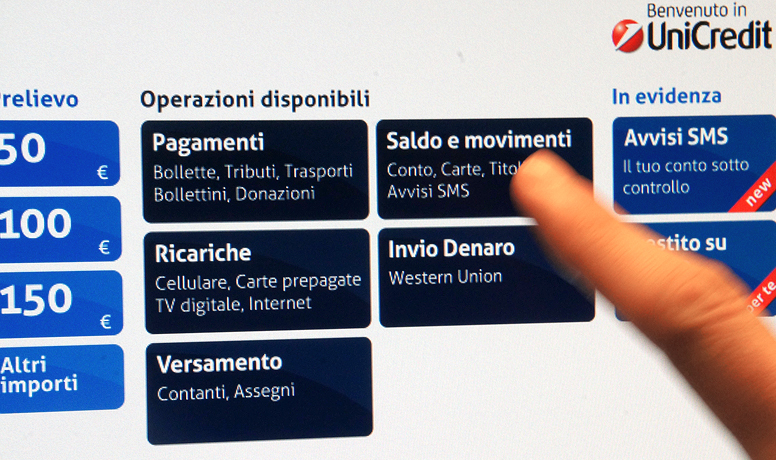 The new ATM is already in use in selected locations, and will finish its roll out across Italy in 2014. The first reactions to the BancoSmart interface have been extremely positive, with people commenting on the increased speed, legibility, appealing graphics, and the improvement in features and functions. The highly intuitive ATM interaction allows clients to easily navigate, locate and use functions, from simple features like cash withdrawals to more complicated functions like deposits, information retrieval, bill payments and mobile phone top-ups. 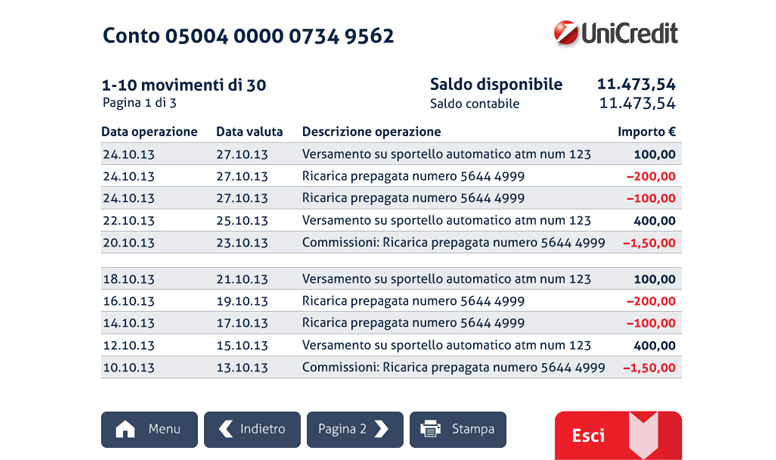 The interface is visually attractive and easy to read, with large fonts and clear banking function categories. 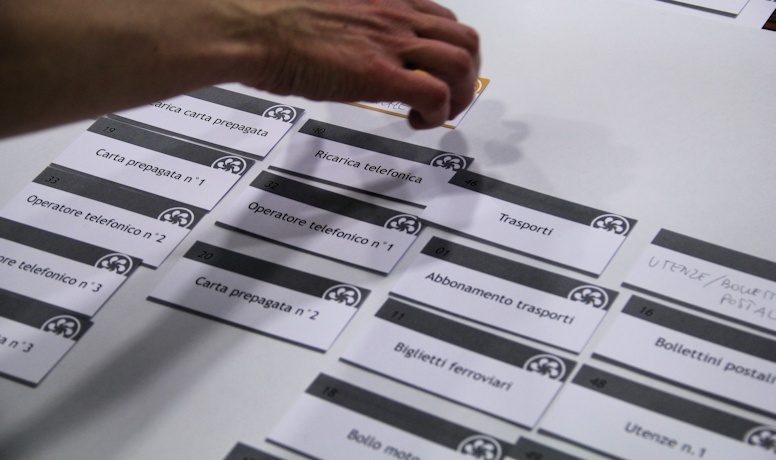 Experientia carried out in-depth user experience research as a foundation for the information architecture and service design of the ATM. Multiple cycles of design, prototyping and user acceptance testing ensured that the final interface is strongly based on people’s banking behaviours and exceeds their expectations and needs for ATM use. 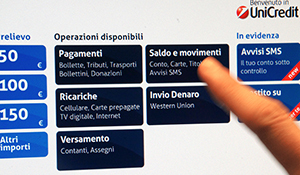 Experientia’s design is a responsive solution that runs on various ATMs including legacy terminals of different providers with various screen sizes and tech specifications. Usability and technical tests were performed across this device range. 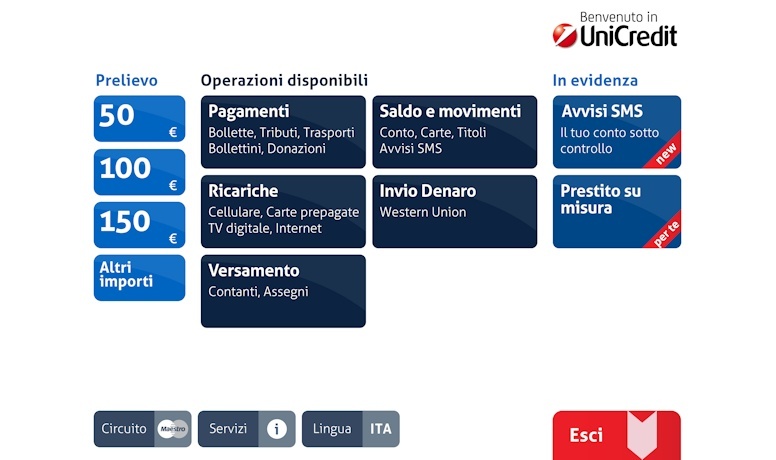 BancoSmart offers a full touchscreen interaction, thanks to the extended network of touchscreen ATMs available in Italy (over 6,000 UniCredit touch ATMs, equal to 85% of machines). Speedy withdrawal, with 3 predefined options on the Home Page based on the most frequent behaviours of the user, which the system learns over time. This cuts the time for common task completion by 30%. Georeferenced payment service, which organises bill payment options and filters them based on what is available in the user’s location. Adaptive interface, with a home page that offers personalised content based on the user’s banking profile. Tone of voice, with the creation of a coherent language in all situations, which is more friendly and direct, and provides the correct support during operations. Contextual support and feedback Contextual messages and continuous feedback keep people informed during interaction, particularly in case of data entry errors or other problems, using a clear language and coherent visual support. 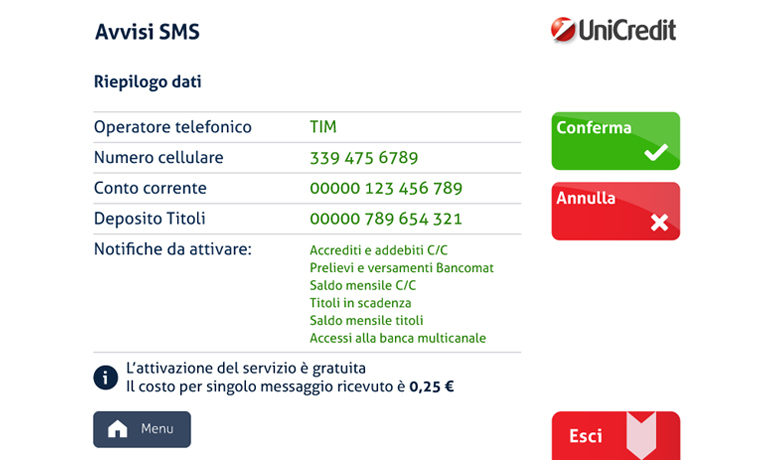 UniCredit SpA is an Italian global banking and financial services company. It has approximately 40 million customers and operates in 22 countries. Experientia® is a global experience design consultancy that practices user research-based and people-centred design. They help companies and organisations conceive and innovate products, services and processes, through a qualitative understanding of people, their mental models and their behaviours. Experientia won the 2011 Italian National Prize for Innovation in Services, for a low carbon service platform to be implemented in an eco-friendly residential area under construction in Helsinki, “using innovative methodologies devised in Italy.” They have conducted research and design projects in every continent, for industries ranging from mobile telecommunications to sustainability, from automotive to architecture, and much more. Their portfolio includes a range of financial products, aimed at bank and customer use, developed for some of the biggest banks in Italy and Europe. Experientia’s client roster features Italian and international clients, such as Alcatel Lucent, ASUS, Banca Fideuram, Banca Carige, Condé Nast, CVS Pharmacy, Expedia, Fidelity International, Haier, Intel, Max Mara, Microsoft, Motorola, Mozilla Corporation, Nokia, Samsung Electronics, SAP, Sky, Trenitalia, Toncelli, UniCredit Bank, United Nations and Vodafone.